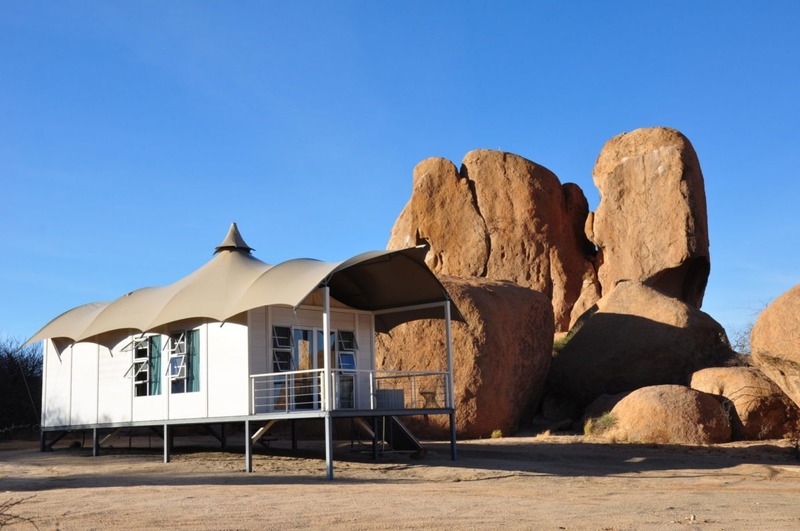 "A luxurious lodge set in an iconic landscape"
A modern lodge in this famous and dramatic landscape. 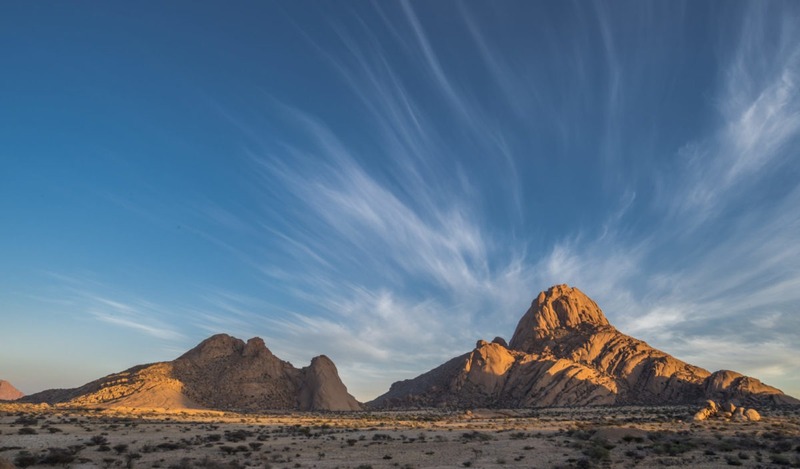 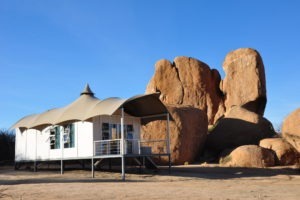 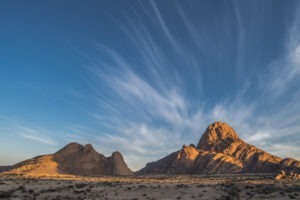 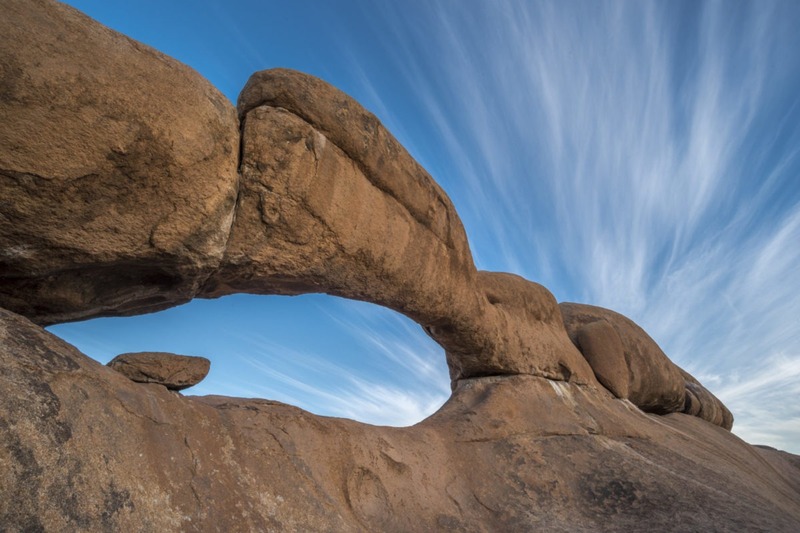 Spitzkoppen Lodge is situated on the northern periphery of the Spitzkoppe inselberg, between huge granite boulders, which were created more than 150 million years ago. 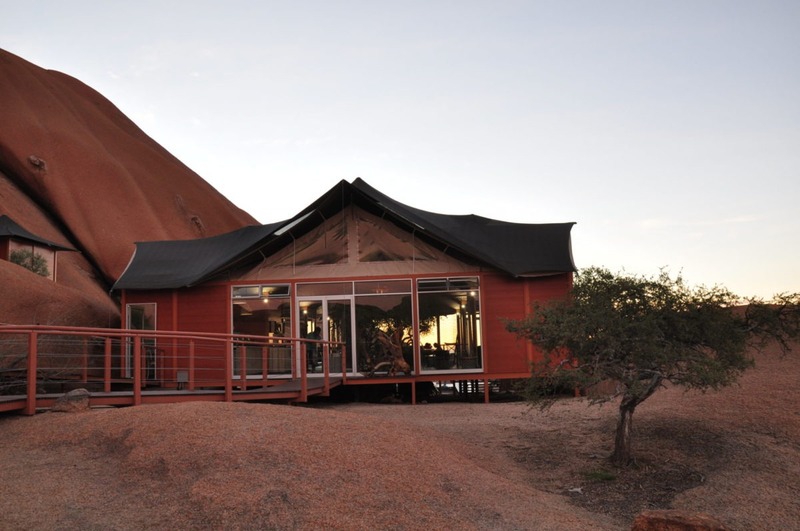 The lodge has breathtaking views onto the Brandberg and Erongo Mountains. Far off the well-trodden tourist trails this family owned lodge invites to indulge in the pleasure of a friendly service in a relaxed ambiance within a region rich of archaeological heritage and with cultural and spiritual significance to the San. 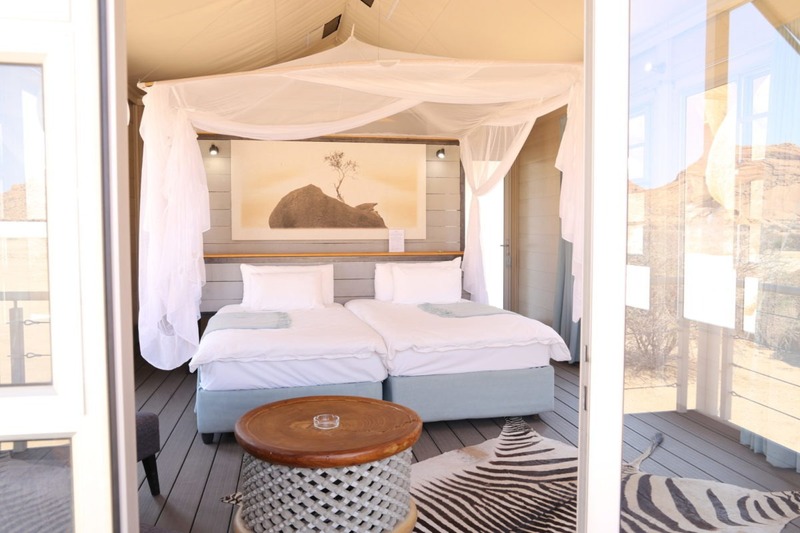 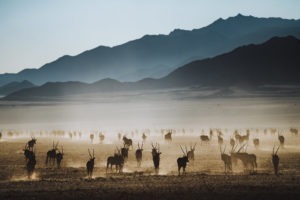 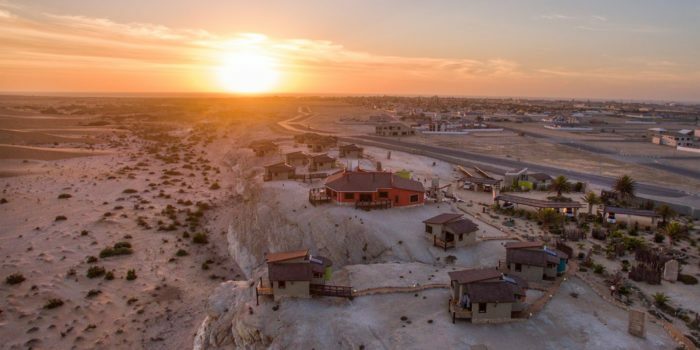 The lodge consists of 15 spacious, tastefully furnished chalets, each with private bathroom and outside viewing deck, which connects the guest with the vast stretches of untouched sand and boulders beyond. 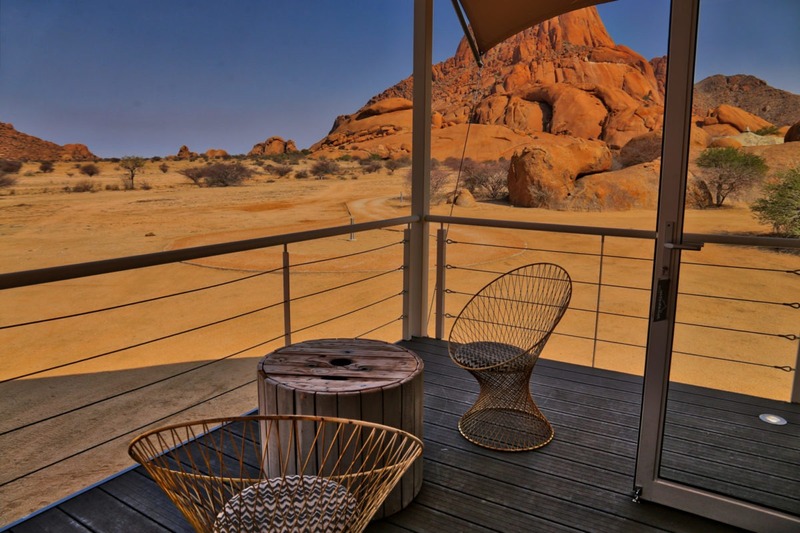 The main area provides a lounge, bar and a dining room all with floor to ceiling glass windows to enable 360° views onto the granite boulders. 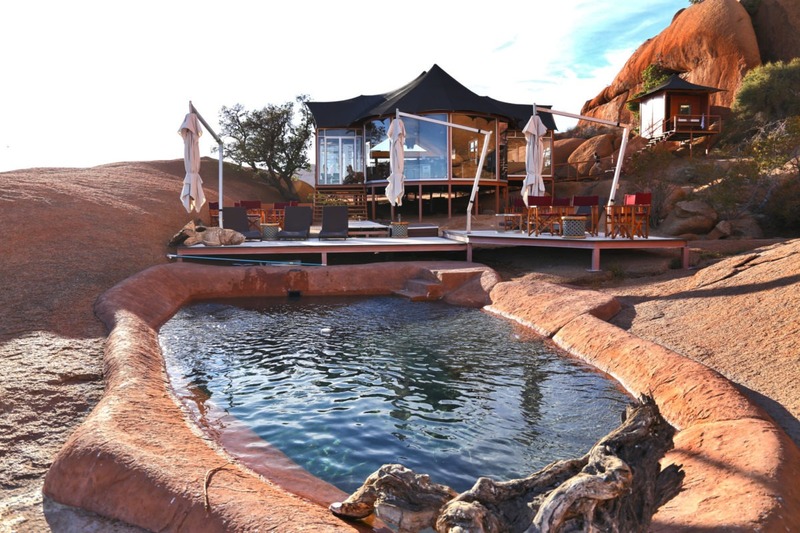 The natural rock pool opens into the uninterrupted vastness of the Erongo Mountains. 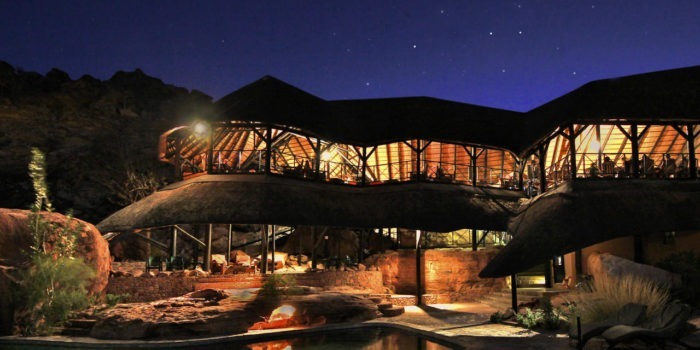 In the evenings a fire pit invites guests to witness the unique starry sky, which is worth a visit alone. 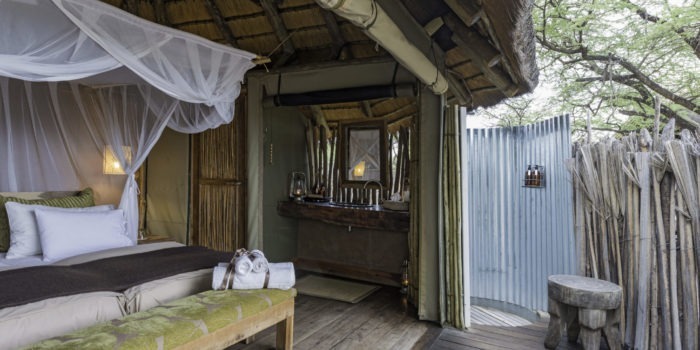 All buildings are linked with elevated walkways constructed to minimize the impact on the environment and to perfectly integrate with nature. 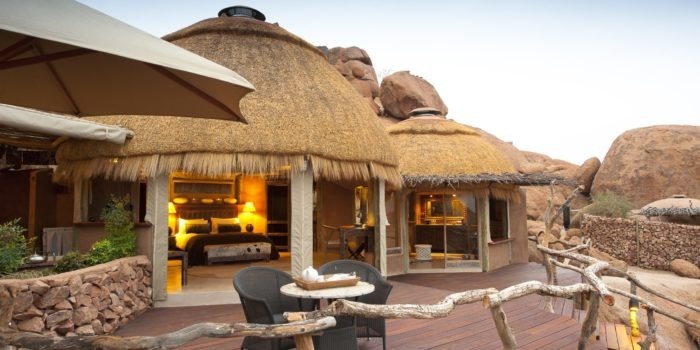 Sensitivity towards wildlife and heritage was paramount in all the stages of the lodge’s development. Water, which is unfit for human consumption is sourced from boreholes and purified with a reverse osmosis plant. 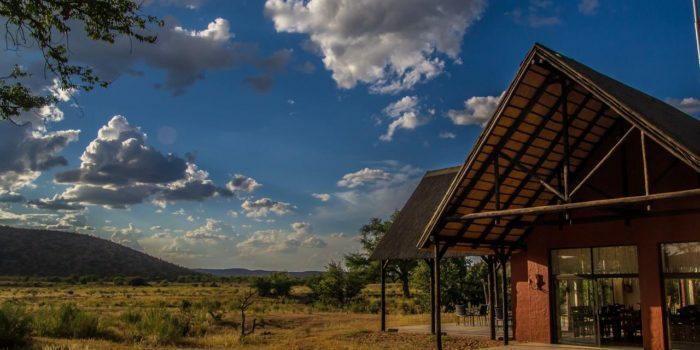 The lodge is connected to the national grid by way of a 5km long underground cable for its electricity supply, all to ensure minimum disturbance of the spectacular archaeological landscape. 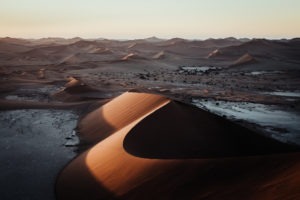 Activities focus on the diverse and biologically interesting landscape and include visits of archeological sites with ancient bushmen paintings. 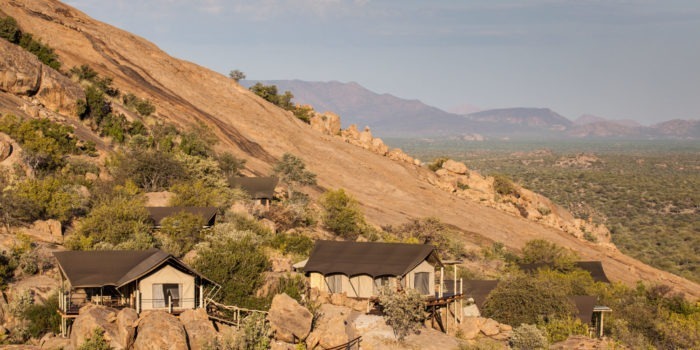 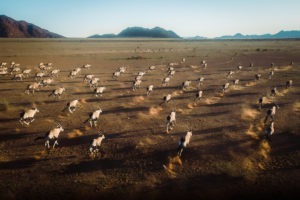 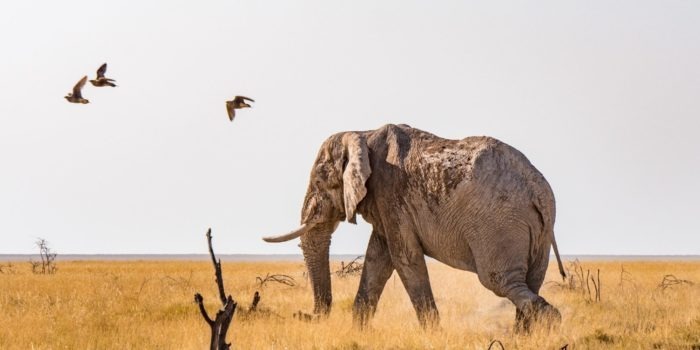 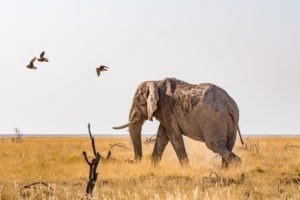 Apart from that the lodge offers rock climbing, hiking trails, horseback riding, biking tours, photographic tours and birding walks to see the diverse birdlife of the Spitzkoppe area. 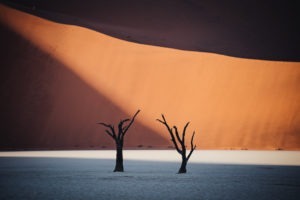 And of course, there is the unique photo opportunities with the right light very special! 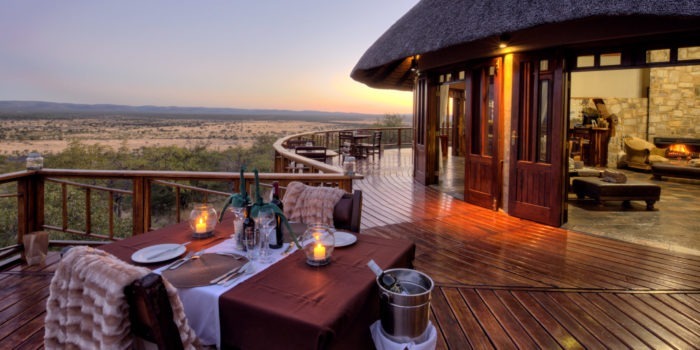 Family owned offering friendly service in a relaxed ambiance. 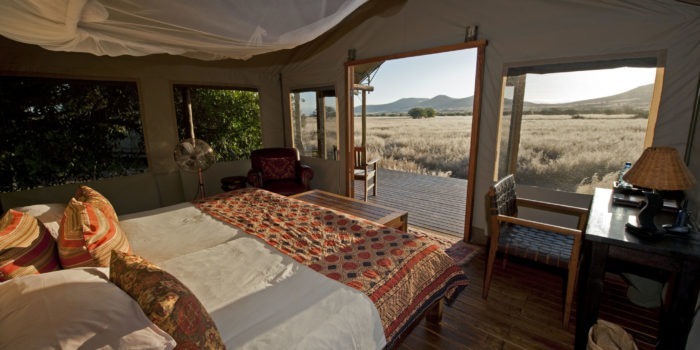 The only lodge in an undiscovered area, providing maximum exclusivity. 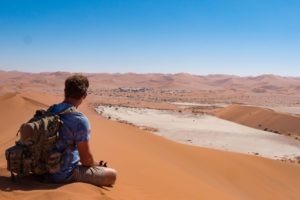 On the edge of the Namib desert in a region rich with archaeological heritage. 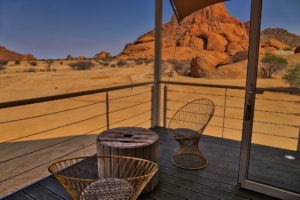 Breathtaking views over uninterrupted vastness, photographer’s heaven! 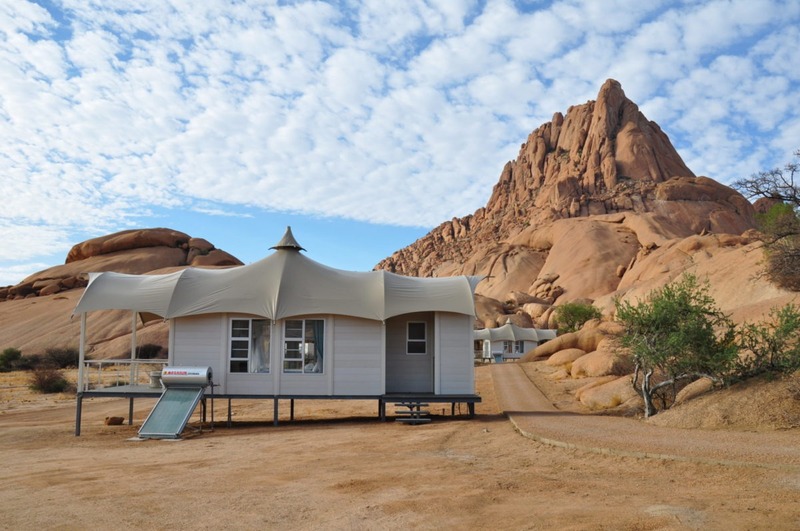 Modern and stylish lodge well suited to the dramatic landscape.